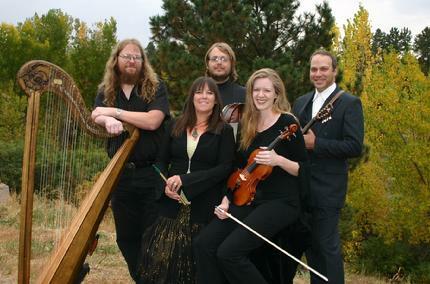 Members of the Castle Rock Celts Irish Band have performed and led the morning and evening Irish Jams at the Colorado Renaissance Festival for the last three years. They are always looking for an excuse to play on St. Patty's Day! 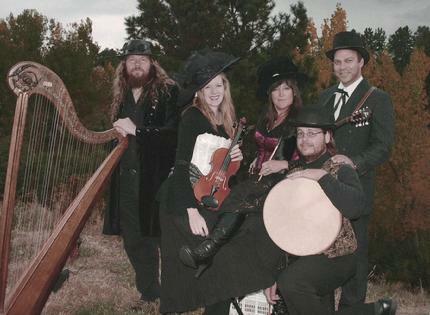 The Castle Rock Celts feature Dustin Arndt on bodhran, Shaw Quirk on pennywhistle, Matt Rose on mandolin, Matt Schwarz on harp, and Erin Stewart on fiddle.